If you are gamer who would rather purchase legit games than pirate them, I have to tell you that I commend you. However, the important thing that you need to know here is that whenever you are in the market looking for games to buy, you are going to run into a lot of options. Sure, you can always buy from stores like Steam, Origin, or UPlay, but sometimes, you are not looking forward to paying the full price, but at the same time, you still want to support the developers, then the good news is that you can actually buy legit game keys for a lot cheaper than what you would normally pay to Steam, or any other digital distributor for that matters. How? Well, the process for that is rather easy to begin with; you can simply head over to one of many third party sellers that are available on the internet, buy the game you want, and start playing. You will get the game you want for a lot cheaper than you might expect, and in addition to that, the game will work without any issue as well. However, over the past couple of years, these 3rd party resellers are coming under some fire for one reason or another. There have been situations in which hackers stole credit cards, used those to buy keys off of different platforms, and then sold those keys to the 3rd party sellers, even though the situation was dealt professionally, it still raises some questions; the main one being whether these 3rd party sellers are legit or not. The website in question today is cdkeys.com, a renowned website that is selling a lot of games for a lot cheaper than their retail prices. The best part is that you are not limited to just PC games, as you can buy game keys for other platforms as well. 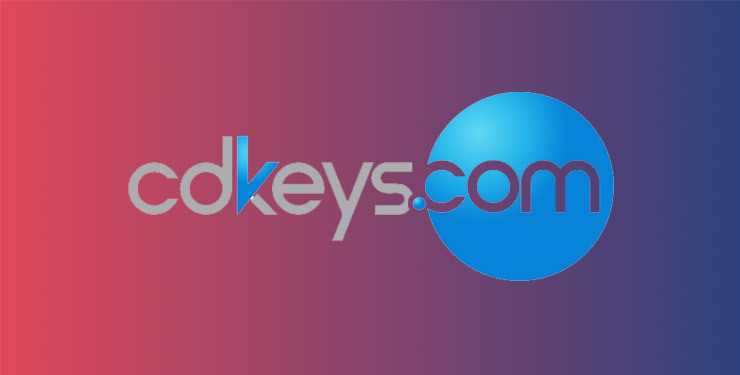 Currently, cdkeys.com is catering the users and providing them with the keys for PC, PSN, Xbox Live, Nintendo, and even top ups for platforms such as Facebook, Netflix, and many other platforms that are popularly being used all around the world. The question here remains; is cdkeys.com legit? Well, that is exactly what we are going to find out in this article today. In order to properly assess the situation, we decided to buy a few keys from cdkeys.com. We did this by opting for games that were quite old, as well as the keys that were quite new in the market, and while the keys for all the games did work, there was an interesting find that we feel like we should share with our readers. First things first, the biggest difference between cdkeys.com and the competition is that unlike the competition cdkeys.com is not a platform for other sellers to buy or sell the games there. As a matter of fact, all the keys are sourced by the website owners themselves, and according to the research, these keys are bought in the bulk from legitimate sources, and should there be case of the keys getting revoked, the website does provide you with warranty, so you really do not have to worry about having your keys revoked. You are protected as long as you are buying keys from cdkeys.com, and the best part about them being responsible for sourcing the keys is that dealing with their staff is a lot better than dealing with someone else who is selling the keys. In addition to that, another benefit of cdkeys.com is that since they source the keys themselves, the chances of getting scammed are next to nothing. Sure, there might be some situations where you might run into a key that is not working, or a key that has gotten revoked, but the good thing is that the chances are very less, and even if something like that does happen, you can always reach out to their support, and get a replacement, or a refund. Whatever you wish; their support works both ways, which is a great thing. Okay, now that we know that cdkeys.com is better than their competition, you might be wondering how it is as a store for games. Well, for starters the store has a lot to offer when it comes to games. You actually have a great selection to choose from, and during my search on the store, I found some really old games that I thought I would not be able to find at all. These games are on Steam, mind you, but to my surprise, the games were there, I was able to buy them, and they worked without any issue whatsoever. In addition to that, another important thing that you need to know about cdkeys.com that you can buy more than just games. To test out the other services, I bought PSN, Xbox Live, as well as Steam cards to see whether they work or not, and they all worked in the first try. Last but not the least, I also tried buying the top ups for the platforms that I use. Mainly Facebook, and Netflix, and that too worked without any issue. This goes to show that cdkeys.com does work, and works really well, so you really do not have to go through any issue whenever you are looking for games. The crux here is that you will get games cheaper than what they cost in the market, making things much simpler for you. The question that was raised in the beginning was whether cdkeys.com is legit or not. The good thing is that as far as my experience is concerned, the website is certainly legit. Sure, there have been reports about keys getting revoked, but in most cases, they are isolated issues, and should not bother you. If you do run into an issue with the keys, cdkeys.com has one of the finest support that can help you without any issues whatsoever. So, do keep it in mind.